Day 1 – Moderate Intensity: Flow Fit or the Fire Station Workout at a moderate pace. Your rating of perceived exertion should be 5-7 on a 10 scale, and your heart rate should be between 75-85% of your heart rate maximum. The emphasis here is strength training. 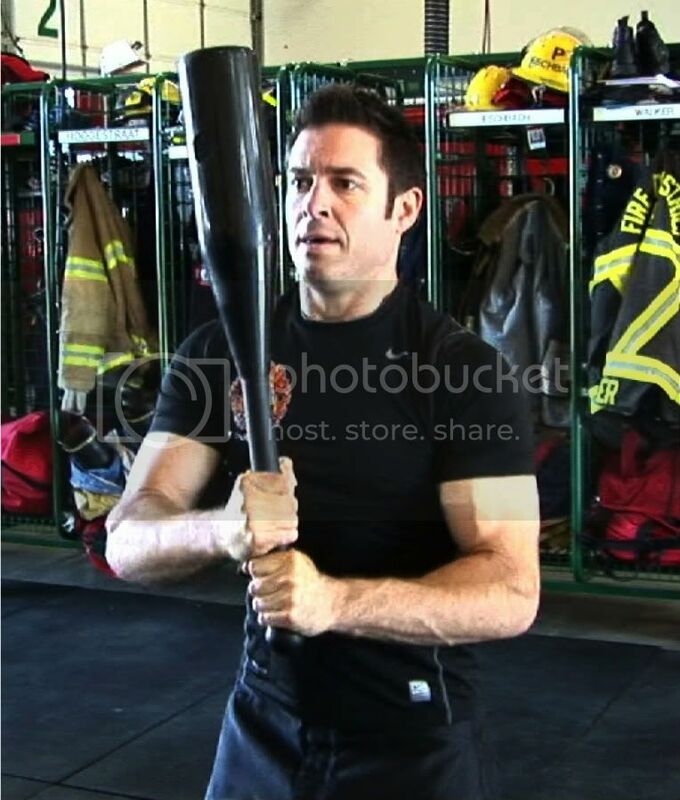 Day 2 – High Intensity: The Fire Station Workout at maximum effort. Your rating of perceived exertion should be 8-10 on a 10 scale, and your heart rate should be between 85-100% of heart rate maximum. The emphasis here is metabolic conditioning. Day 3 – No Intensity: Intu-Flow Joint Mobility or follow the Joint Mobility Session found in the members area. This is active recovery from moderate and high intensity training. These movements flush and lubricate the joints, shaving away restrictions and improving joint health. Do not skip this day! Day 4 – Low Intensity: Ageless Mobility or follow the Compensatory Movement Session found in the members area. If you would like to run, cycle, swim, etc., do so on this day at low intensity, followed by compensatory movements. These compensatory movements aid recovery, and prepare the body for the next cycle of moderate and high intensity training through decompression of the joints and enhanced muscle recovery. Do not skip this day! Day 1 – Moderate Intensity: Flow Fit or TACFIT India at a moderate pace. This does not mean your pace within each minute slows down, but you will take more rounds off as you feel yourself training into high intensity. Your rating of perceived exertion should be 5-7 on a 10 scale, and your heart rate should be between 75-85% of your heart rate maximum. The emphasis here is strength training. Day 2 – High Intensity: TACFIT India at maximum effort. Your rating of perceived exertion should be 8-10 on a 10 scale, and your heart rate should be between 85-100% of heart rate maximum. The emphasis here is metabolic conditioning. Day 1 – Moderate Intensity: Flow Fit or the Combat Challenge Workout at a moderate pace. Your rating of perceived exertion should be 5-7 on a 10 scale, and your heart rate should be between 75-85% of your heart rate maximum. The emphasis here is strength training. Day 2 – High Intensity: The Combat Challenge Workout at maximum effort. Your rating of perceived exertion should be 8 – 10 on a 10 scale, and your heart rate should be between 85 and 100% of heart rate maximum. The emphasis here is metabolic conditioning. Day 4 – Low Intensity: Ageless Mobility or follow the Compensatory Movement Session found in the members area. If you would like to run, cycle, swim, etc. Do so on this day at low intensity, followed by compensatory movements. These compensatory movements aid recovery and prepare the body for the next cycle of moderate and high intensity training through decompression of the joints and muscle recovery. Do not skip this day! Repeat these three cycles several times. Strive to improve your technique and performance with each workout session. The 4 day wave is designed to maximize recovery from high intensity training so you are able to perform at a high level when duty calls, remain injury free and return home safely. If you are sore, ill or just plain wiped out from a busy shift, you can insert an extra day or two of no or low intensity training. Do not do more moderate or high intensity training. The key to maximizing health and performance is to recover from moderate/high intensity training, not to do more work more often. Please let us know how your training is going by posting comments/scores on our website, facebook page or twitter. Feel free to share this with fellow firefighters or fitness enthusiasts, and please contact us with any questions that you may have. Train hard, train smart and stay safe! This entry was posted	on Wednesday, August 22nd, 2012 at 10:23 AM	and is filed under Fire Fighter Fitness, Health and Fitness. You can follow any responses to this entry through the RSS 2.0 feed. You can leave a response, or trackback from your own site.